Tour 5 Days / 3 Islands => Join Now! SUMMER 2019 IS COMING CLOSER! OPENING DATE 4.4.2019 ! The Dikeos mountain range stretches along the south east of the island. 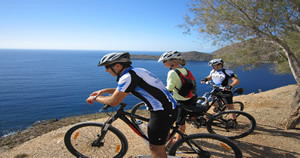 This tour offers the maximum off road fun you can get anywhere on the island. 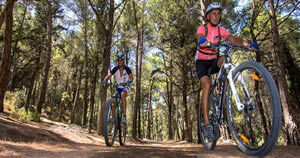 We start near Kos and ascend through olive groves and pine forests. 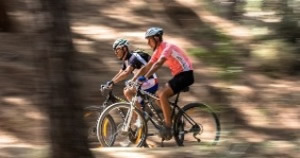 The trail becomes rather technical and leads us to the crest of the mountain, where one has a truly panoramic view of the north and the south of island. 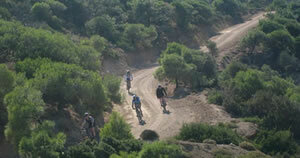 While riding along the crest, one discovers places that defy the touristic reputation of Kos. Teilen Sie es! / sharing it!